Mention the word to Europeans, and they think of passports, customs officials, and language changes. For them, a frontier is a border between countries, “the sharp edge of sovereignty,” a nation’s one-dimensional distinction between native and alien. Mention the word to Americans, and they conjure up an entirely different image. For us, the frontier means the Great West, Pictures of gunslingers and 49ers, covered wagons and Dodge City all come crowding into the aura of the word “frontier.” And even though, by common consent among historians, the frontier has been closed for over a century, the very word still carries its old connotations of beckoning, unlimited opportunity and freedom. The man who firmly planted that image in our collective consciousness was Frederick Jackson Turner. His epochal essay, “The Significance of the Frontier in American History,” is commonly agreed to be the one of the most influential pieces of historical writing done in the United States. (1) And, correspondingly, the concept of the frontier is generally recognized to be America’s most important contribution to historical thought. From the time of its first appearance in 1893, the Turner Thesis has proved inexhaustibly fruitful in giving insights into American history, particularly in the far west. In spite of continuous criticism of almost every point in Turner’s argument, the frontier concept has been expanded during the past several decades to include “other Wests than ours.” And as soon as the frontier thesis had been applied to the development of other countries, it was inevitable that studies comparing the traits of different frontiers would begin to appear. Today , the comparative study of frontiers is one of the most promising fields for the comparative study of civilizations. Good work has already been done, and there’s plenty of room for every kind of talent, from the specialist scholar to the architect of grand theories. Frontier studies is a thoroughly American branch of historiography, born of our experiences with our own frontier, and potentially expandable to include the comparable experiences of every civilization in history – and beyond. This scout report will attempt to give some idea of how the concept of the frontier has developed, and what directions it might take in the future. Every civilization has limits. In the historical period, all civilizations – that is, all cultures which bear cities – have matured in the midst of hostile elements (nature and other people) against which they have constantly struggled. The way in which each civilization comes to terms with those limiting forces comprises its own unique approach to its frontiers. For almost 2000 years, Europe itself was a frontier to other civilizations – first to the Greeks, then the Romans, and finally the Moslems. It was only when Western Europe itself had developed a city-culture that the word fronteria appears in medieval Latin and frontière in medieval French. (2) The term derives from Latin frons, frontis (forehead, brow, or by extension the forepart of anything); and from the outset it is used in the sense in which modern Europeans still think of the word: a border between two countries, or between civilization and barbarism. Hadrian's Wall, "the north-west frontier of the Roman Empire"
The word frontier make its first appearance in an English dictionary in 1623, where it is defined as “the bounds or limits of a country.”(3) Americans followed this meaning, until their own unique experience with the frontier led them to give the word new connotations. In 1806, Noah Webster defined frontier as “a limit, boundary, border on another country, furthest settlements.” The last-named usage, “furthest settlements,” marks the first dictionary listing of frontier with specifically American connotations. In all previous usages, the word implied two civilizations facing each other, separated by a boundary. Implicit in the American meaning, however, is a civilization facing a wilderness. In 1889, The Century Dictionary gave the fullest lexicographical account of the American frontier. Here it is defined as “that part of a country which forms the border of its settled or inhabited regions; as (before the settlement of the Pacific coast) the western frontier of the United States.” One striking assumption marks this definition: the notion that the western frontier, in the estimation of the lexicographer, existed no longer. Here, four years before “The Significance of the Frontier in American History,” is the prelude to Turner’s announcement of the end of the American frontier. When Frederick Jackson Turner read his essay before the American Historical Association in Chicago on July 12, 1893, surely no one guessed that within fifty years the ideas expressed in that paper would become the most influential and controversial thesis ever propounded by an American historian. (4) A large part of the appeal of Turner’s ideas can be found in his masterful blend of conflicting ideas. The major-key of the Turner Thesis is the affirmation of the western frontier as the truly American part of United States history. The minor-key theme is the melancholy Turner felt over the passing of the frontier, which he believed had done most to give the American character its distinctive shape. Many of Turner’s critics complain of vagueness in his central conception of the frontier. But Turner was quite explicit about what a frontier is, and what made its contribution to American life so basic. The frontier itself he defines as free land at the hither edge of settlement. Rejecting the “germ theory” of his teacher Herbert Baxter Adams, which treated American history and institutions as variations on themes first played out in the primeval forests of Germany, Turner adopted a Darwinian approach to the study of American civilization. In the American wilderness, Turner insisted, the environment proved too strong for the institutions brought over from Europe. In confronting the wilderness, people had to revert to primitive conditions in order to survive. Individualism, self-reliance, democracy (in its American, “I’m as good as you are” form) – the frontier brought out and molded these traits and combined them to make America a unique culture, and not just an eccentric version of the Anglo-Saxon tradition. Even more: Turner asserted that the influence of the American frontier was felt throughout the entire country, even the world, helping to transform the ideals and institutions of the parent culture. Among its major influences on both Atlantic seaboard and European society was the west’s function as a safety valve – a place where excess or discontented people could find new room to prosper. Subsequent research and thought has qualified much of Turner’s thesis. For example, his vaunted frontier democracy was in fact often racist and exclusively white-male dominated. Furthermore, frontier self-reliance was almost invariably accompanied by the pioneers’ clamoring for government protection as soon as they settled in the new lands. Frontier individualism was often accompanied by strong tendencies to conform to East Coast norms. Hopeful immigrants and discontented farmers flocked to the cities in greater numbers than they moved into the frontier… and so on. By the 1940s, not a single point in the Turner Thesis had gone unchallenged – none, that is, except for his belief that the frontier was closed for good. And though such criticisms have been rebutted by Turner’s supporters – notably Ray Allen Billington – most frontier historians today are very cautious when they invoke the name of Turner in their work. Less than ten years after Turner announced the closing of the frontier, Webster’s dictionary listed a significant new extension of the frontier concept. In addition to the European and American notions of the frontier as a specific kind of land or boundary, there was a new third meaning: “A border or advance region of thought, sentiment, etc., considered as resembling a geographical or political frontier; as working on the frontiers of science.”(5) It is as if Americans, suddenly cut off from further opportunities on the frontiers of the land, transfer their longing for freedom, opportunity, adventure and riches to the frontiers of the mind. And though all historians, with the exception of Walter Prescott Webb, have ignored this metaphoric extension of the frontier concept, at the conclusion of this essay we will look into this idea for its potential in comparative frontier studies. In 1904, Tuner offered a suggestion for the application of his Frontier Thesis to lands outside the United States. “If,” he wrote, “with our own methods of the occupation of the frontier, we should compare those of other countries which have dealt with similar problems – such as Russia, Germany, and the English colonies in Canada, Australia, and Africa – we should undoubtedly find most fruitful results.”(6) Turner himself was too preoccupied with the working out of his ideas about America to follow up his own program for comparative studies. But in the decades following his original suggestion, a large body of frontier studies has appeared, and a good many of these studies are explicitly Turnerian in approach. There is still no full-scale study, not even an article, devoted entirely to this frontier that both Turner and Thompson felt worth scholarly exploration. The problem, as Dietrich Gerhard has pointed out (8), is that the east German pioneers moved into their frontier, not as individuals looking for personal self-betterment, but as representative of great corporations. Bishops, feudal lords, and all the appurtenances of medieval town life came with the Germans as they moved into their frontier settlements. Perhaps this movement’s dissimilarity to the American frontier has discouraged further comparisons. But it does recall, in some of its details, the settlement-style colonies on the English frontier in North America, the Russian frontier in Siberia, and the encomiendo pattern in some of the South American frontiers. Comparative frontier studies still awaits the scholar who can pick up where Thompson left off. It would seem that the most obvious place of comparison to the North American frontier would be the South American frontier. The task began promisingly enough in 1917, when H.E. Bolton’s seminal article, “The Mission as a Frontier Institution in the Spanish American Colonies,” appeared in the American Historical Review. But it would be another forty years before a second piece appeared which dealt specifically with the frontier theme in Latin America. (9) Finally, in 1978, Alistair Hennessy’s The Frontier in Latin American History appeared, and made the long wait worthwhile. Hennessy labors mightily to find unity in South American frontier history; but in the end, the wide diversity of climates, the proliferation of separate and intensely nationalistic nation-states, and the fundamental divisions between Spanish and Portuguese cultures – all these force him to acknowledge a plurality of frontiers. His discussions of the separate frontiers are uniformly excellent; but he underscores the fact that if frontiers in Latin America are to be compared, they will have to be made country by country (the United States with Uruguay, the Argentine pampas with the South African veldt, etc.). There is no single South American frontier. 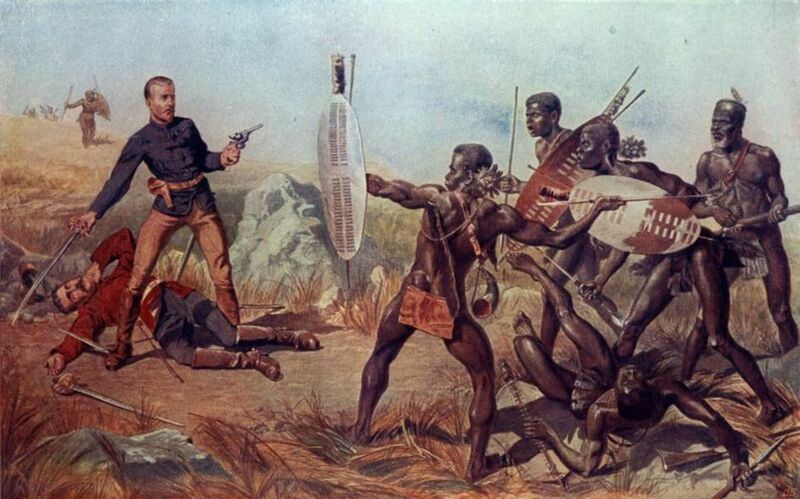 There are several first-rate studies of the Boer’s frontier in South Africa. (10) All writers who have treated the Boer frontier have found ample material for cross-cultural comparisons with the United States (small farms on the frontier), Argentina (similarities between the pampas and the veldt), Australia (wool industry), Brazil (bandeirantes and boertrekkers), and even Russian (Cossacks and commandos). In Canadian frontier studies, there is a strong streak of dualism that pervades all work on the subject: the radical differences between the English and the French settlements. The former, by all indications, shared many of the Manifest Destiny traits with the United States; but the French frontier, after initial explorations and colonization, settled down to a society so stable and conservative that Alexis de Tocqueville remarked in 1831 that “Everywhere we were received…like children of old France, as they say here. To my mind the epithet is badly chosen. Old France is Canada, the new is with us….”(11) The great challenge for the environmental determinist school of history is to explain why a similar environment produced such different frontier societies during the same epoch. The aridity of the Australian Outback and the American Great Plains (called by one writer “ruinous space”) has been an obvious point of departure for comparative frontier historians. (12) There are other similarities as well: the gold rushes, the emergence of self-reliance and political democracy, and the “frontier of racial exclusion” with respect to the aboriginal inhabitants. But the prominence of sheep herding, the continuance of commonwealth ties with England, and the centrifugal pull of seaboard cities has given the Australian frontier a distinctive quality of its own. The Russian frontier has been studied extensively by V.O. Kliuchevskii and, in the United States, by Donald Treadgold and A. Lobanov-Rostovsky. All agree that “throughout Russian history one dominating theme has been the frontier.”(14) As in America, the fur trade helped open the frontier, and the railroad helped close it. But a distinctive feature of the Russian frontier was its eventual collision with the expanding Chinese culture. The story of the clash between these two movements has yet to be told, in terms of specific frontier themes. It was not until 1957 that the first application of the frontier theme to ancient history appeared in print. (15) Since then, there have been several studies devoted to the Roman frontier. But, unaccountably, no one has yet approached the subject of Greek frontiers, frontiers of Mesopotamian civilizations, or any other frontier region of the ancient world. Here is one of the most promising – and most difficult – areas for future exploration. Because of the powerful influence of the Turner Thesis, almost all subsequent frontier studies have been comparative, either explicitly or implicitly. But it was not until 1935 that the first explicitly comparative study, James Leyburn’s Frontier Folkways, appeared in print. After surveying frontiers in the Massachusetts Bay, the French-controlled St. Lawrence, New Zealand, Brazil, South African, Australia, the Dutch in Java, Spanish frontiers and the United States frontier, Leyburn goes on to postulate four types of frontier societies – small farm, settlement plantation, exploitative plantation, and camp – and lists the “mores or institutions” that have gone along with each of the four types. He then proceeds to give ten bold generalizations about common frontier characteristics. After a lag of some twenty years, the explicitly comparative approach to frontier study was revived in the 1950s, with articles by Paul Sharp and Dietrich Gerhard (16) and Wyman and Kroeber’s anthology, The Frontier in Perspective. Since then, there has been a steady stream of books and articles which deal with two or more frontiers in a comparative view. Today, the University of Oklahoma publishes a newsletter, Comparative Frontier Studies, which is struggling to take on the role as the journal in the field. Because the Turner Thesis was originally applied to the North American frontier, and because his ideas have exerted such a powerful influence in American historiography, almost all subsequent frontier studies have used the United States frontier experience as the measuring rod for all others. Many historians have deplored this state of affairs; but one clear advantage has accrued to the field because of this dominance of the Turner Thesis. Unlike so many other comparative studies, in which single scholars must work out comparisons using their own standards, comparative frontier studies have a touchstone in the Turner Thesis. Writers may agree or disagree with Turner; but they almost always check in with him. Even if another country’s frontier experience proves to be radically dissimilar to our own – and none, it seems, is just like ours in every respect – the very differences reveal essential insights into the cultural development of every civilization which has had a frontier. But the comparative historian wants more than a simple list of cultural differences, however valuable these insights might be on their own account. What is always sought as the highest desideratum of any branch of cultural morphology is a set of general observations that can be seen as operatives in a variety of situations. A formulated set of principles (such as, for example, Gresham’s Law), not “every situation is different, folks” is closer to what we want from our work. The discovery of the common principle must always be the highest goal of comparative studies of any kind. For the opportunistic thinker and scholar, there are vast stretches of virgin territory out there in frontier studies, just waiting for the right talent to bring them to fruition. But there is another side to the picture. At present, comparative frontier studies is a motley of uncoordinated theories and facts, guesses and anecdotes. The very word “frontier” itself invariably shifts its meaning as it passes from writer to writer. (17) And though many historians are still applying the Turner Thesis to frontier studies in other lands, no two ever apply the same criteria from Turner’s work. Free land, political democracy, social mobility, a moving frontier line, religious popularism, self-betterment – all writers take their pick, add a few new ideas of their own, then proceed to measure the frontier they are studying by these hybrid criteria. John C. Hudson suggests a four-fold classification model which includes: (1) Adapted Spread (the diffusion of cultural traits from a geographical core); (2) Environmental Conflicts; (3) Group Conflicts; and (4) Stages of Frontier Occupancy. I have even added my own voice to the tumult by suggesting a difference between primary frontiers (England in the United Stales, Canada, and Australia the Dutch in South Africa and Java; Spain and Portugal in South America; etc.) and secondary frontiers (the American West, the Ontario frontier, the Australian outback, the South African Boertrek, and the bandeirantes in New Portugal, etc.). So there are bits and pieces of a major thesis out there; but no one has yet replaced the Turner Thesis with a better overall working concept of the frontier. The reason for this is clear: no one as yet has enunciated a theme for comparative frontier studies with the same elegance and persuasive power as Turner did in 1893. Until someone with literary skill to match high scholarly integrity comes to comparative frontier study, there will be plenty of rich strikes, some busts, some shrewd guessing as to where the real wealth lies – but no one to shape it all together into a convincing work of historical art. In spite of the recent blossoming of comparative frontier studies, the Spirit of Ending broods over the whole enterprise. When Turner announced the end of the American frontier, he sounded the minor key in which all subsequent historians would write their stories. A few writers still hold out for residual frontier pockets in South America or Alaska. But it is the city, and not the frontier, which all writers see as the future of all cultures. “ The farthermost limits of knowledge or achievement” suggests to me a brand new territory for both comparative frontier studies and the history of ideas: do frontiers of the mind develop and progress along with frontiers of the land? For example, are there genuine connections between the frontiering voyages of da Gama, Columbus, and Drake, and the optical explorations of outer space by Galileo, and of microscopic space by Leeuwenhoek? If there are such genuine inter-relationships, Oswald Spengler’s concept of the Prime Symbol as the unifying idea behind cultural creativity might be useful for comparative frontier history in this expanded, metaphoric sense. Even if the two kinds of frontiers are not related by cause or zeitgeist, another question arises: do frontiers of the mind develop like frontiers of the land? Is there a comparable pattern to intellectual discovery and development, and land discovery and development? If, as R.G. Collingwood thought, “All history is the history of thought,” then there exists a natural basis in human psychology and history for the comparative study of both land and mind frontiers. There is still that second meaning of frontier: “a new field that offers scope for activity.” The old free lands of the earth are gone, as Turner and Walter Prescott Webb remind us. There may be “pocket frontiers” here and there; but these are mopping-up areas, not extensive frontiers in the old sense of the term. There may be deserts or icefields that technological expertise might some day transform into productive acreage. But if these areas are finally brought to bloom, they will surely do so under the watchful eyes and careful hands of whatever agency finances them. They will be areas of corporate cooperation, not frontier individualism. And the cost of the land itself, unlike the old frontier lands, will not be free. But technology, that same technology that brought an end to the Old West with railroads, machine harvesters, and barbed wire fences, has opened up a new frontier for explorers, settlers, and miners to go to. It’s a place vaster than the Old West, the Outback, and the Amazon territory all put together. It’s also a place where the wide open spaces are free. It’s a frontier that might well serve as a “safety valve” in Turner’s sense: a place where the hopeful and the hopeless might go to escape restrictions and make their mark. But, as in earlier frontiers, it’s a place where mother Nature again becomes the implacable enemy, a cold remorseless killer of the incautious invader. What I’m referring to is the High Frontier – the exploration, exploitation, and conquest of outer space. For the study of frontiers, the High Frontier offers historians and thinkers one of their greatest challenges. Here is the place where our generalizations will be applied to the test – even if we’re not alive to hear the verdict. Can an accurate frontier thesis be devised that will stand the test of the future? The environment transforms a people into something new, said Frederick Jackson Turner. On the frontier, the British become Americans, Canadians, and Australians. What will they become when they move out into the planets and stars? To someone involved in frontier studies who is also a writer and reader of science fiction and a believer in the supreme value of space exploration, the knowledge that the High Frontier is not for me but for other people comes as an indisputable dose of reality. But if our lives are dedicated to the pursuit of knowledge, we must be grateful that destiny has placed us in a fortunate position to observe, to learn, and to understand the greatest transition in human history. We live at the end of the old frontier and the beginning of the new; and the new frontier may mean not only a new kind of society, but a new type of humanity. We’ll never have to – or get to – fastdraw a Colt 45 or a laser pistol to defend our honor or our pile of gold. But we can offer our insights to the young, the boldest of whom will eventually, or even soon, be venturing out into the greatest frontier any civilization has faced. 2 Comparative frontier studies awaits a solid research article on the equivalent terms for frontier in different cultures. The difficult part of the task will not be in the finding and listing of the terms, of course: it will be in capturing the nuances of connotation for each culture. For a good article on the history of the word in Europe and America, see Fulmer Mood, “Notes on the History of the Word Frontier” in Agricultural History, April, 1948. 3 Henry Cockeram, The English Dictionarie:, or, An Interpreter of Hard Words (London, 1623). 4 One has to go to Gibbon, Spengler, and Toynbee to find imaginative theses with comparable power to compel such widespread assent and argument. 5 Webster’s New International Dictionary of the English Language (Springfield, Mass, 1902). 6 “Problems in American History,” in The Significance of Sections in American History (New York, 1932). 7 Feudal Germany (New York, 1928). See also Thompson’s “East German Colonization in the Middle Ages,” in the Annual Report of the American Historical Association, 1915. 8 “The Frontier in Comparative View,” in Comparative Studies in Society and History, March, 1959. 9 Silvio Zavala, “The Frontiers of Hispanic America,” in The Frontier in Perspective, ed. W.D. Wyman and C.B. Kroeber (Madison, Wisconsin, 1957). 10 See especially Eric Walker’s The Frontier Tradition in South Africa and The Great Trek. A useful overview is W.K. Hancock, “Trek,” in The Economic History Review, Vol. X, No. 3 (1958). 11 Quoted in Gerhard, p. 211. 12 See especially H.C. Allen, Bush and Backwoods: A Comparison of the Frontier in Australia and the United States (East Lansing, Michigan, 1959). 13 V.O. Kliuchevski, Kurs Russki Istorii (Moscow, 1937; reprint Ann Arbor, 1948); Donald Treadgold, “Russian Expansion in the Light of Turner’s Study of the American Frontier,” in Agricultural History, October, 1952; A Lobanov-Rostovsky, “Russian Expansion in the Far East in the Light of the Turner Hypothesis,” in The Frontier in Perspective. 15 Paul L. Mackendrick, “Roman Colonization and the Frontier Hypothesis,” in The Frontier in Perspective. 16 Paul F. Sharp, “Three Frontiers: Some Comparative Studies of Canadian, American, and Australian Settlement,” in the Pacific Historical Review, November 1955. Dr. Sharp is now president of the University of Oklahoma, so it is no accident that some of the best work in comparative frontier studies is being done at that university. 17 Two of the most recent definitions are Emilio Willems’s “an area of highly variable size into which migrants have moved to exploit some of its known resources,” and Kenneth Lewis’s “a zone of contact between an expanding society and the environment (including aboriginal cultures) of the new territory.” Both definitions can be found in the authors’ articles in The Frontier: Comparative Studies, ed. By D.H. Miller and J.O. Steffens (Norman, Oklahoma, 1977). 19 Webster’s Seventh New Collegiate Dictionary (Springfield, MA, 1963).